Goodreads A Plain Scandal ARC Giveaway! 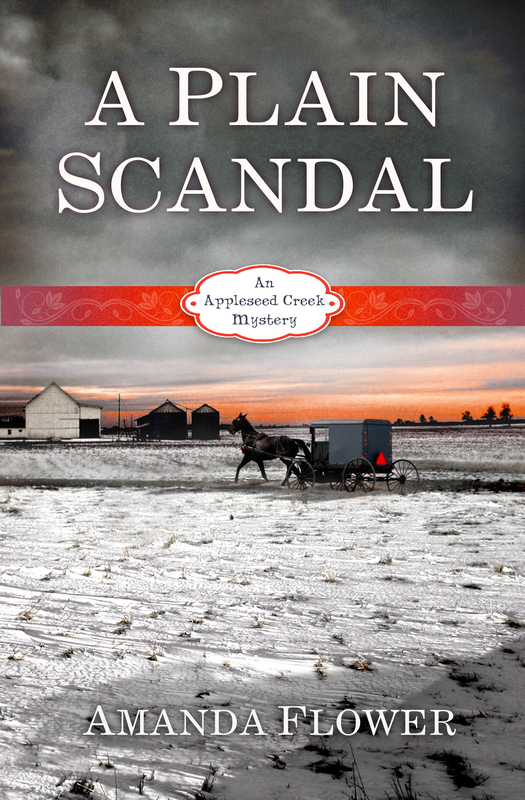 This month, I’m giving away a signed advanced reader’s copy of A Plain Scandal, the second mystery in the Appleseed Creek Myster y Series, on Goodreads. Contest runs from November 13, 2012-December 13, 2012. After this giveaway, I have one ARC left. I will be giving away that one too. Stay tuned to find out where and when! A Plain Scandal ARC & More Winner! Thank you to everyone who entered! We had over 100 entries! Now, to announce the winner of my A Plain Scandal ARC and More Giveaway! Congratulations to Tiffany (As For My House) !! 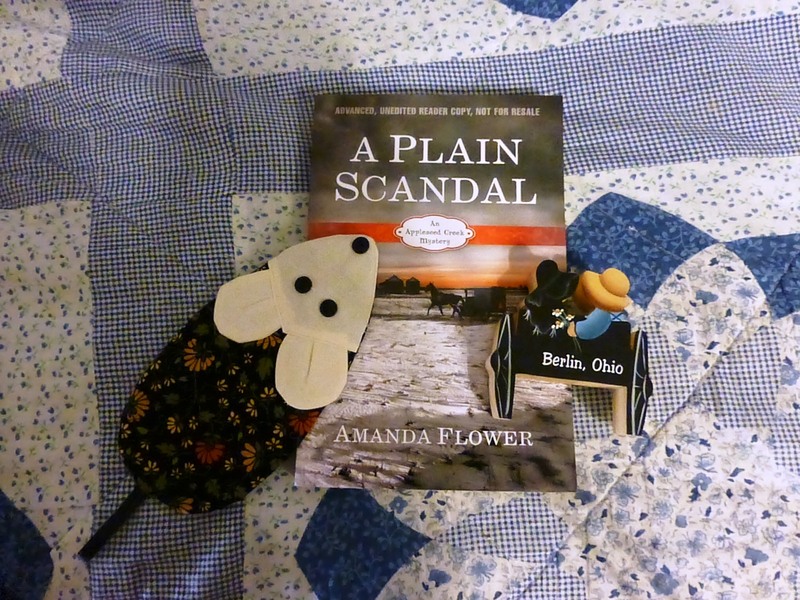 You are the lucky Facebook Fan & winner of the Advanced Readers Copy of A Plain Scandal and the Amish gifts. Please email your snail mail address to authoramandaflower@gmail.com to claim your prizes, and I will mail them right away. You have one week to contact me or a new winner will be chosen, so don’t delay. A Plain Scandal ARC and More Giveaway! This week I’m hosting a very special giveaway here on my blog. 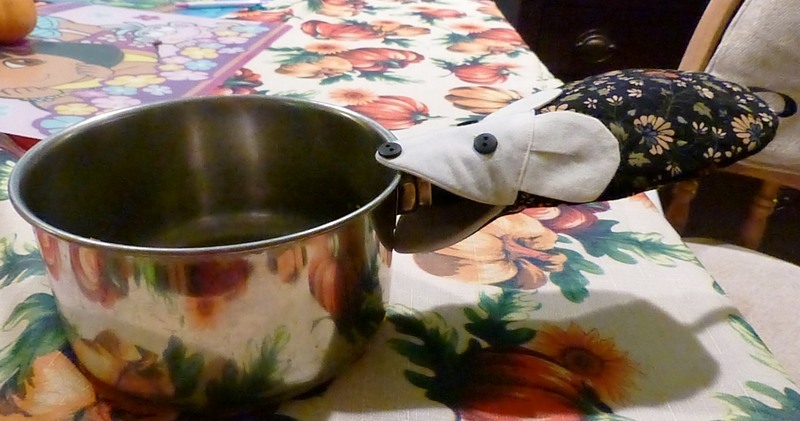 The prize is an Advanced Readers Copy of A Plain Scandal, a Amish-made mouse potholder (I’m not kidding. See the photos below.) from Charm, Ohio, and a buggy decoration from Berlin, Ohio to ONE lucky winner. Sounds pretty great, right? 1) If you aren’t one already, become a Facebook Fan of my Author Page and Leave a comment here that you did. The winner will be randomly selected from those who entered. Contest ends Tuesday, November 6th, 2012 at 5pm (EDT). Winners will be announced here on my blog on Wednesday, November 7th, 2012. First Week Murder in a Basket ARC Winner Announced! Congratulations to CYNTHIA WONG!!!! 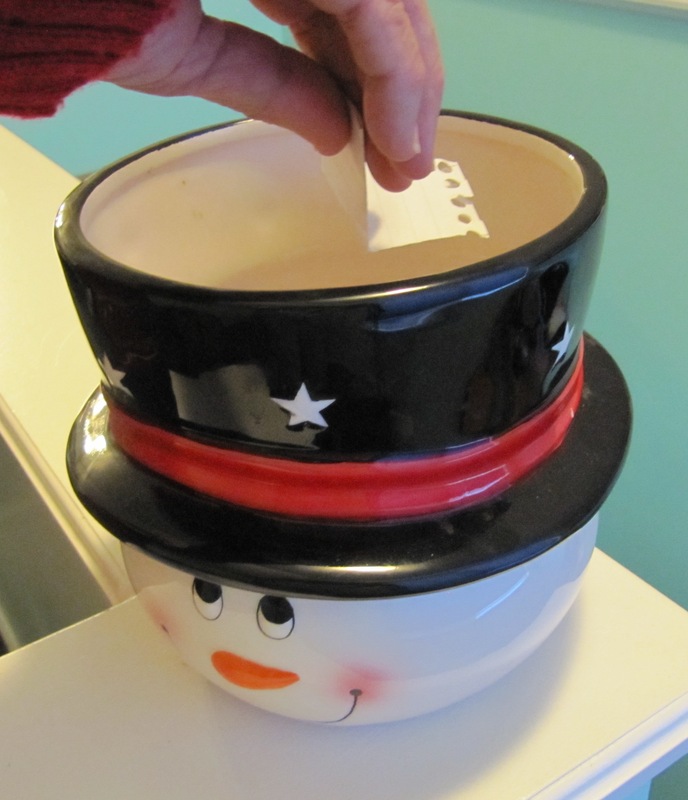 Your name was pulled out of the snowman’s hat. See photo below. You are the lucky winner of a signed Advanced Reader Copy of Murder in a Basket! Please email me your snail mail address to authoramandaflower@gmail.com to claim your prize, and I will mail you the ARC right away. Thank you to all who entered! We had a fabulous turnout of over 50 entries! There are still three more chances to win an ARC! New contest begins tomorrow with a brand new mystery question!